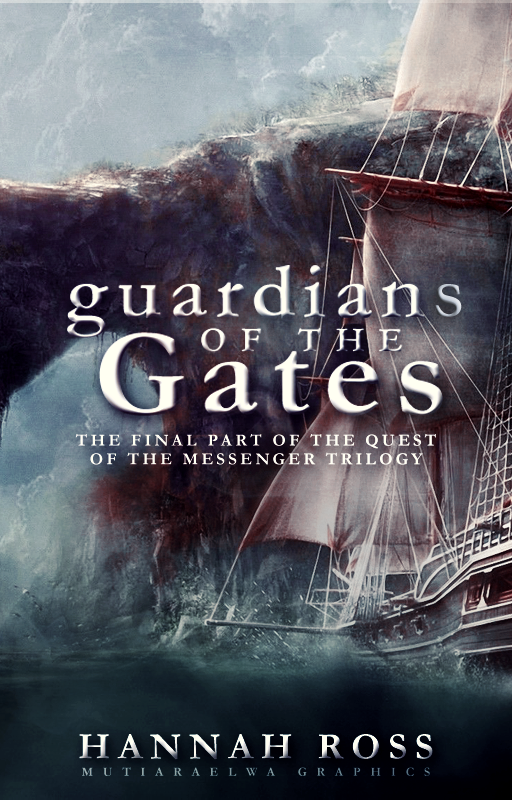 Thanks to the awesome @crookedaydreamer from Wattpad, Guardians of the Gates, the third and final book in the Quest of the Messenger trilogy, now has a cover - and an amazing cover it is. 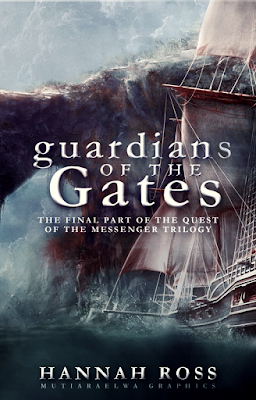 Guardians of the Gates is most definitely my favorite book in the entire QotM saga. Its events take place several generations after Paths of the Shadow and Warriors of the Realm, which makes for a broader perspective. Also, it contains more action, more adventure, more travel - finally taking off from the shores of Tilir - and more cultural variety. However, I believe the real reason for my partiality lies in the character of Claire Swift - the first and only female main protagonist in the trilogy. There are some strong and important women in the first two books as well, but up until now, the main POV had belonged to a male. Claire's appearance is a refreshing change - not that I like her just because she is a girl. Quite simply, I wish I had a friend and companion like her - brave, honest, loyal, resourceful, ready to undertake any project and very forgiving of other people's idiosyncrasies. "We must stick together,” Claire interrupted them both. “We must prevail upon this captain to sell us together, and then there will be a higher chance for us to fall into the hands of someone rich and powerful enough to make the journey to Tilir easily. You must swear that the ransom will be very high,” she added, looking from Jonnar to Gahrod. Priscilla Dahl must have heard these words a thousand times. She heard them when she was little and they were preparing to go on a visit to her grandparents; she heard them when she was a little older, and running late to a dancing lesson or piano practice. She heard them every time the family needed to present its sleek, perfectly groomed face to the photographers – and she was not surprised to hear them now, on the night of her sister’s debut ball. The whole thing, in her opinion, was a lot more fuss than it was worth. Her mother and Stephanie hardly talked of anything else the past fortnight. “Prissy?” her mother tapped on the door again – a little refined tap-tap with perfectly manicured fingernails. Priscilla shrugged and stepped back, allowing her mother room to pass. Eleanor strode over to the closet and pulled the door open. “Have you decided what to wear?” she asked. “Kind of,” Priscilla muttered, sitting down on the bed with an expression of grumpy carelessness. “There isn’t a lot of choice,” observed her mother in clipped tones, flicking through the dresses on the rack. Stephanie had an entire dressing-room with several closets, full-length mirrors, and ceiling-high shoe racks. Priscilla was quite satisfied with a simple closet, the contents of which she always attempted to thin out. “There’s the new green dress,” she suggested half-heartedly. “Nonsense. I made sure the rooms are all well-heated. Ah, there are the shoes,” Eleanor emerged out of the closet triumphantly, holding a pair of silver slippers.